Saudi Arabia suspended diplomatic ties and new trade dealings with Canada in response to Canada’s call for the release of women’s rights activists — a dramatic escalation that highlights the kingdom’s increasingly assertive foreign policy under Crown Prince Mohammed bin Salman. Saudi Arabia recalled its ambassador to Ottawa and ordered the Canadian envoy to Riyadh to leave within 24 hours, according to a Foreign Ministry statement. Canada is “seeking greater clarity” about the matter, a spokeswoman for Foreign Minister Chrystia Freeland said. The Saudi Foreign Ministry cited remarks last week by Freeland and the Canadian embassy in Riyadh, criticizing the arrests of women’s rights activists including Samar Badawi. She is a Canadian citizen whose brother Raif Badawi, a blogger who was critical of the government, was already in jail in the kingdom. Canada’s remarks are “an affront to the kingdom that requires a sharp response to prevent any party from attempting to meddle with Saudi sovereignty,” the ministry said. Under Prince Mohammed, King Salman’s son and the power behind the throne, Saudi Arabia has reacted more aggressively against countries that it perceives as intervening in its internal affairs. In little more than a year, the kingdom has led a four-country coalition that severed ties with neighbouring Qatar, recalled its ambassador to Germany and cut back its trade dealings with some German companies amid a diplomatic row. It was also widely blamed for forcing Lebanese Prime Minister Saad al-Hariri to briefly resign, a charge it denies. “The rupture in Saudi diplomatic relations with Canada underscores how the ‘new’ Saudi Arabia that Mohammed bin Salman is putting together is in absolutely no mood to tolerate any form of criticism of its handling of its domestic affairs,” said Kristian Ulrichsen, Middle East fellow at Rice University’s Baker Institute for Public Policy in Texas. Saudi foreign policy began to change when King Salman succeeded his late brother Abdullah in 2015, and positioned his son as the most powerful prince in the kingdom. As defense minister, Prince Mohammed is also in charge of the kingdom’s military involvement in Yemen against Iranian-backed rebels. Under previous leaders, the kingdom largely chose subtle diplomacy and relied mainly on its financial firepower to gain influence. Critics of that policy say the kingdom struggled to achieve its objectives. The stand-off pits a Saudi government that’s slowly opening the door to women’s rights against Canadian Prime Minister Justin Trudeau, an outspoken champion of women’s advancement, who named a gender-balanced cabinet shortly after his 2015 election. Just two months ago, Saudi women were given the right to drive a car, yet several of the country’s most prominent women’s rights activists — including some who fought for years to drive — were arrested earlier this year on national security grounds. “We are seriously concerned by these media reports and are seeking greater clarity on the recent statement from the Kingdom of Saudi Arabia,” Marie-Pier Baril, a spokeswoman for Freeland, said in an email. Saudi investments in Canada include G3 Global Holdings Ltd., a joint venture between Bunge Ltd. and Saudi Agricultural & Livestock Investment Co., which purchased the former Canadian Wheat Board in 2015. Saudi Arabia has invested about US$6 billion in Canadian businesses since 2006, data compiled by Bloomberg show. Tanks, armored vehicles and parts and motor vehicles accounted for about 45 per cent of Canada’s 2016 exports to the kingdom, while crude oil and copper ores comprised about 98 per cent of imports, according to a government report. Saudi Arabia supplies oil to the Irving refinery in Saint John, New Brunswick. 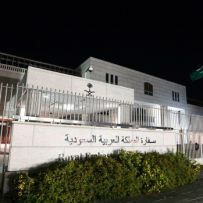 The arrests were in line with Saudi laws, and those detained have been provided with due process during investigation and trial, according to the foreign ministry statement. So far this year, Canada has exported $1.4 billion in merchandise goods to Saudi Arabia and imported $2 billion in imports, leaving it with a cumulative year-to-date trade deficit with the kingdom of about $640 million, according to Statistics Canada data. –With assistance from Stephen Wicary, Doug Alexander, Kevin Miller, Shikhar Balwani, Scott Deveau and Glen Carey.